I am going to again blog about etchings. The texture that is achieved and clarity of image is to me an wonderful thing. #CWTaylor began working as a commercial engraver but went on to produce artistic etchings with an assured and distinctive style. We see a child playing in a passage way, either filling or emptying the dustbin. That would be unheard of today. A deeply coloured image but it has no sense of danger or threat. A place which is both safe and controlled. Taylor loved to portray his landscapes and studies using the early morning light of the summer months. He shows the countryside both lush and fruitful. He uses a range of tone, of light and shadow, of perspective and detail to imbue his etchings with a wonderful intensity. 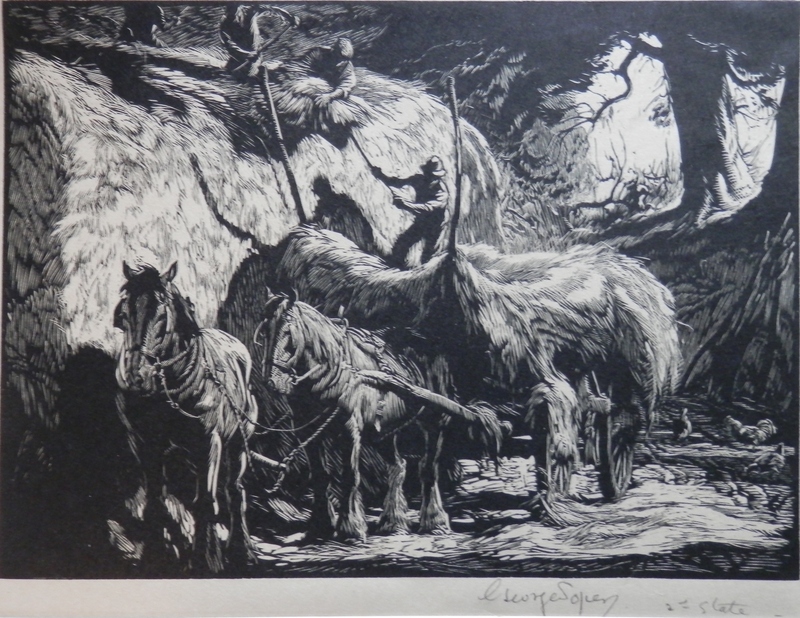 He also, at times,uses more than one technique on his prints and it is his attention to both method and detail that lifts him beyond the ordinary. An illustrator in his early years, #GeorgeSoper went on to establish himself as a painter and print maker of rural scenes. Mostly self taught as an artist George Soper was affilliated with the Royal Academy where he exhibited for many a year. George excelled at portraying people at work likely due to his work as an illustrator in his formative years. As He matured both in age and talent, his main subject became the land, and the men and horses who worked it; mostly based on local Hertfordshire scenes. He portrays the land in a time before machine and city began to encroach on the Hertfordshire countryside. He excelled at the portrayal of horses, especially those working on the land. Two fine examples of their genre. Enjoy. 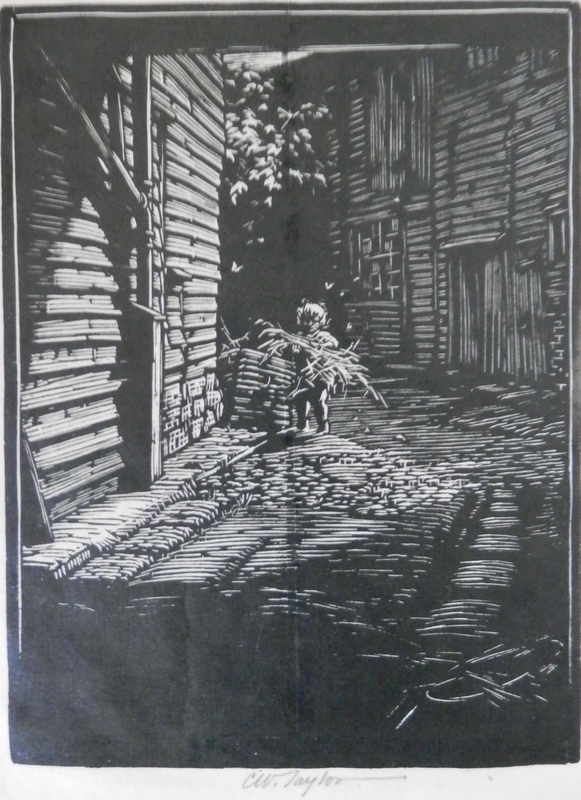 This entry was posted in Etching and tagged alley way, child, dust bin, farmers, guttering, hay stack, hay wagon, horses, labourer, sticks. Bookmark the permalink.